Colorado horseman Thomas H. Bradbury, 82, passed away on Thursday, January 10 after complications from a knee replacement surgery that included two follow-up surgeries and an allergic reaction to an antibiotic. A memorial service was held in honor of the American Quarter Horse Racing Association Hall of Fame member on Tuesday morning in the Cherry Hills Community Church Chapel in Highlands Ranch, Colorado. Bradbury, in partnership with Blakeman Farm, campaigned the 1990 AQHA World Champion Dash For Speed, the winner of that year's Champion of Champions and Los Alamitos Invitational Championship. The Dash For Cash mare earned $1,225,737, a figure that currently ranks her as 12th richest female Quarter Horse racehorse of all-time. Bradbury also campaigned in partnership with the late Kim Kessinger, the 2007 La Primera Del Ano Derby winner Fancys First Affair. In partnership with his children Tom and Lisa, Bradbury raced 2014 Kindergarten Futurity runner-up Wild Sixes Cartel and 2018 Southern California Derby runner-up Eyes The Favorite. Wild Sixes Cartel and Eyes The Favorite were also Grade 1 stakes finalists. Bradbury was a well-known Colorado rancher, horseman and businessman who impacted nearly every person he met. He loved the Denver Broncos, was the most-loyal of friend, and wanted to have the best ranches and fastest quarter horses possible. He was born in Denver, raised in Littleton, and proud graduate and passionate supporter of CSU. While at CSU, he met and married Margaret, who has been his faithful and loving wife for 60 years. In 1958, they founded Bradbury Land & Cattle Co. near Byers, Colorado where they made their home for 45 years and where the family continues to own ranches. Tom was inducted in the AQHA Hall of Fame in 2015. 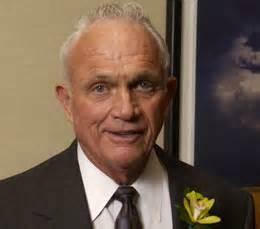 He was CSU Distinguished Alumni Award recipient and was inducted to the Colorado Agriculture Hall of Fame. He served on various Boards, both locally and nationally, for over 50 years. He was compassionate towards youth and tried to encourage them to better themselves. Just as he aimed for continuous improvement on his ranches and his businesses, he strived to make his local community and the ag world better. Tom is survived by his wife, Margaret, his children Suzie, Tom (Penny), Lisa (Mark) and son-in-law, Allen, along with 13 grandchildren and 1 great grandchild. He was preceded in death by his parents, Thomas O. and Gladys C. Bradbury and his daughter, Pamela and grandson, Drew.